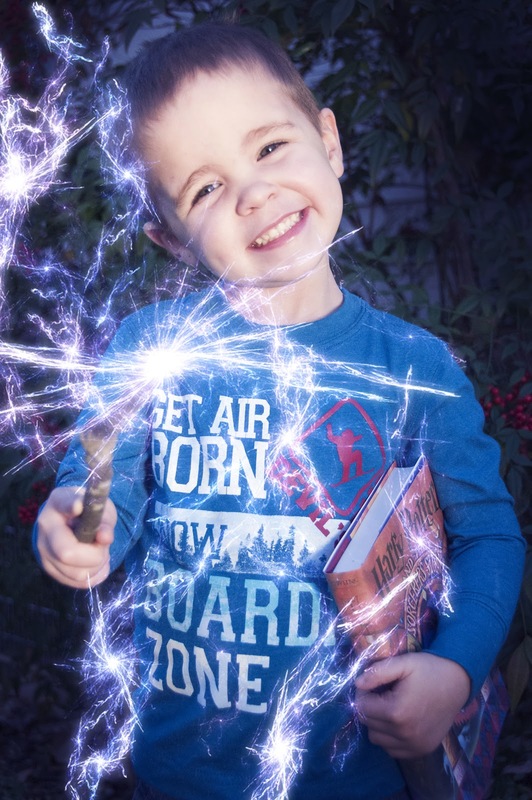 When I asked my friend Allen to take pictures of our family recently, the only specific request I made was that he take a picture of each of the boys holding Harry Potter and the Sorcerer's Stone out in front of them. The Harry Potter books have become so much a part of who they are, that I wanted to capture that sentiment forever. I wanted the books in sharp focus with the boys sort of blurred in the background. Allen did a great job with that, and I was so happy with the way those turned out. 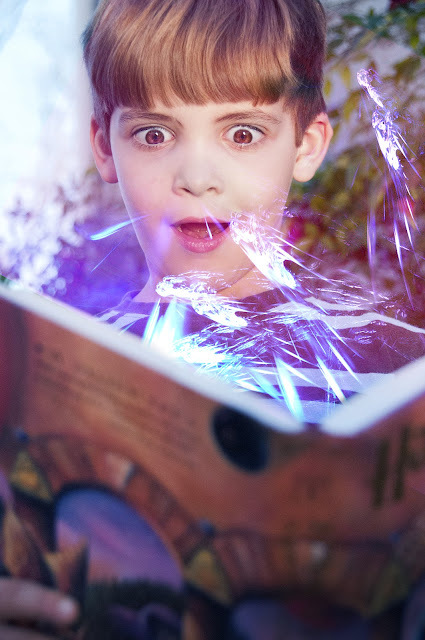 But Allen is also really creative with Photoshop, so he also took some pictures of each of the boys looking inside the book with a surprised look on their faces. 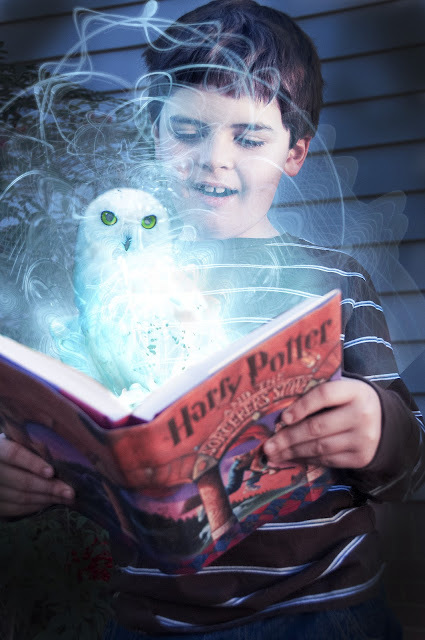 His idea was to then add some "magical elements" to the pictures in editing ... which he did, to great effect! The boys are COMPLETELY head over heels in love with these pictures. They think they're so much fun! And I feel like I have three real wizards now. Those photoshopped photos are AMAZING!! How wildly creative! 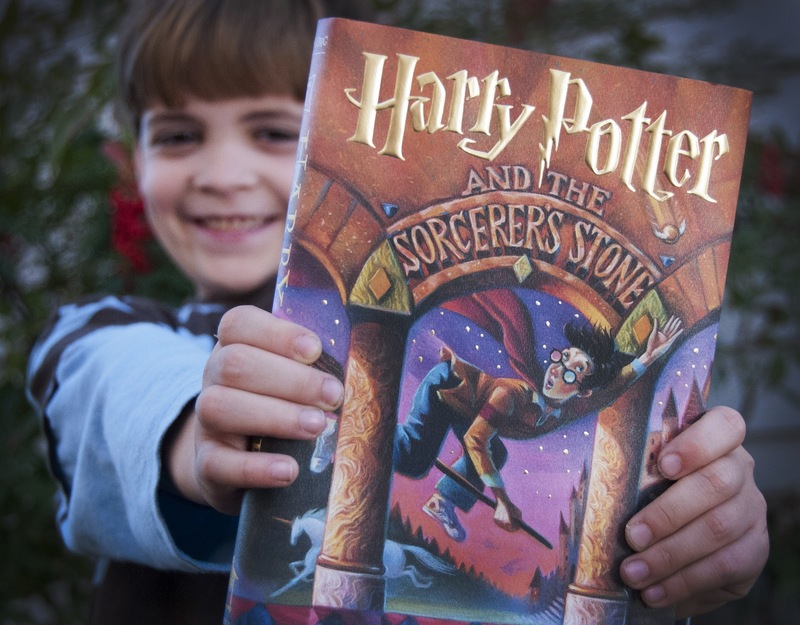 We all love the Harry Potter books, too. (especially me, I admit it!). I'll have to show these photos off to my children. I really love those! You will have to frame the wizard pictures for their rooms. My children's librarian heart loves this. Love 'em! I bet the boys want those on their walls. Or probably on the living room walls, super-sized. Oh goodness! I love them! Fabulous! Those are fabulous!! How fun for them!! Those are awesome, how creative. I'm sure the boys really cherish them.